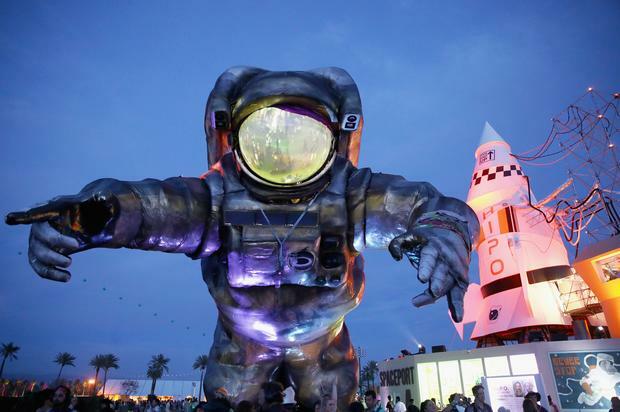 Coachella is often thought of as the biggest festival in the United States. The space allotted for the event spans several football fields, and from the top of the Ferris wheel, you can view 100,000 people enjoying different genres of music. Goldenvoice (the company behind Coachella) was well prepared for the masses. Reddit discussions and whispers from past festival goers warned this year’s attendees that things would not go smoothly. Festivals are often chaotic events, but Coachella 2019 was well engineered. Those that made the trek out to the desert were rewarded with unforgettable performances. There were complaints around social media about the lineup, but that sentiment did not appear to dampen the energy or the turnout. There were too many artists performing to catch everything, which is too be expected. Musicians from different backgrounds and genres brought their best to the desert. Surprise performers were in abundance, adding to the lengthy list of artists gracing the many stages. Weekend one was the ultimate festival experience, so condensing it down to a list of our top five favorite moments was difficult. As the final night of the festival concluded though, the performances that resonated the most became apparent. From YG’s Tekashi diss, to Anderson .Paak soulful performance, these are our favorite moments from Coachella Weekend 1.